If you are looking for an act that combines traditional and original material with a dollop of humour, creates exciting music and singing full of freshness and invention then please look no further! 23rd February Islington Folk Club London, EC1R 0AG. 27th February Ashby Parva Village Hall Lutterworth, LE17 5HS. 3rd March House Concert Watford. 13th May Red Fox Ceilidhs Leicester, LE3 0QT. 18th May The Bell Inn, Adderbury Oxfordshire, OX17 3LS. 19th-21st May Shepley Spring Festival Shepley, Huddersfield, HD8 8AP. 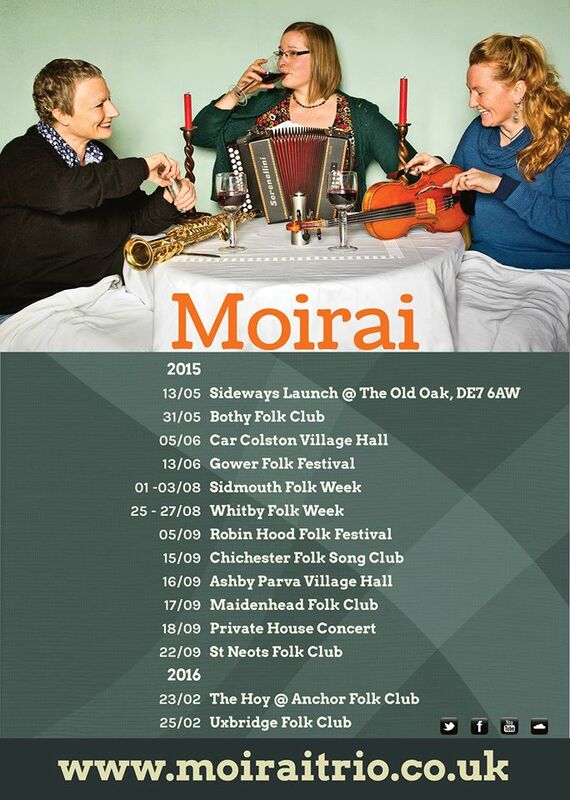 4th - 11th August Sidmouth Folk Week Sidmouth, Devon, EX10. 11th-18th August Broadstairs Folk Week Kent. 20th August Folk East Glenham Hall, Suffolk IP13 0BT. 25th-28th August ​Shrewsbury Folk Festival Shrewsbury, SY1 2PF. 10th November ​Black Diamond Folk Club Birmingham, B5 6AH. 15th November ​Llantrisant-Folk-Club Pontyclun, CF72 9EH. 3rd March Folk On The Moor Devon, PL21 9EE.